The rich and intense colours of Gansai Tambi are handcrafted, professional-quality pigment inks. These fine-caliber watercolours are highly blendable, with a creamy-smooth consistency found only in traditional Japan. 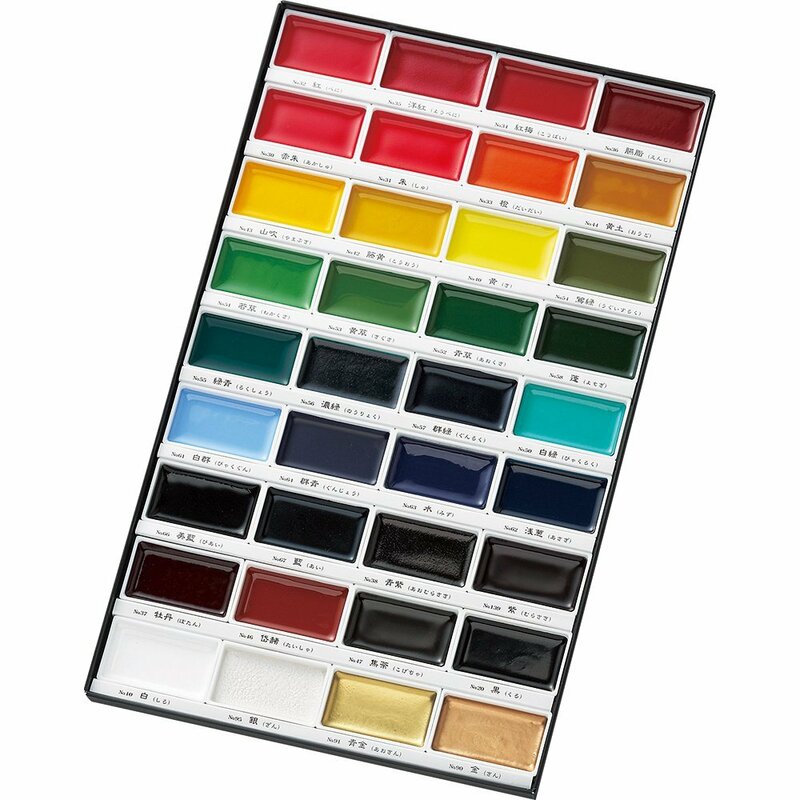 Gansai Tambi watercolours have a glossy sheen finish and are perfect for crafters and artistic professionals. The high-density pigment of each colour allows Gansai Tambi to be applied even to dark paper. Because the high density pigment, the colours – especially metallic – can be applied even to dark paper. 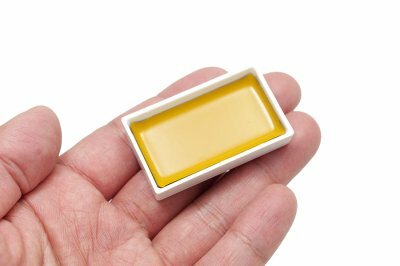 To achieve a more traditional transparent effect, dilute the paints with water and blend until the desired consistency and opacity is reached. Gansai Tambi watercolours are available in 36 watercolour set includes these colours as below. Available in other range of colour.